This ergonomically designed range of spades and forks guarantees a good working posture. The long handle and the 40° lifting angle minimises strain on back and shoulders and the bent grip gives the hand a natural working posture. Tubular steel shaft with plastic coating insulates from cold and gives a firm grip. The 170 handle angle allows a natural hand position. The head is welded to the handle for a durable connection. The spade blades have been sharpened for better penetration into the soil. 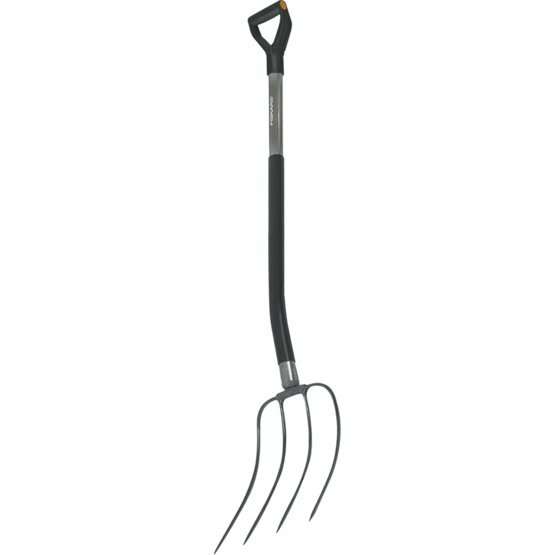 Long prongs for poking the compost and for twigs, potato tops etc.